Conquer ramps, half-pipes, bowls, and other skatepark features. 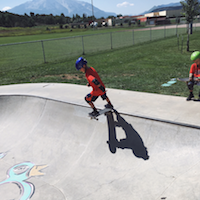 Learn to skateboard and perfect your skills in the park! For all abilities. We supply boards, pads, and helmets.